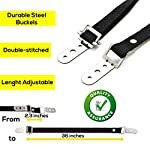 ✅PROTECT YOUR CHILDREN – Made of top quality material our wall straps are 3 times stronger than other straps. 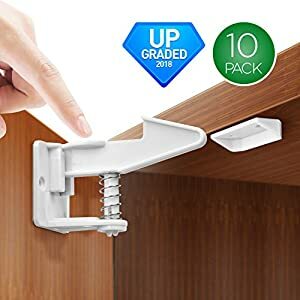 Effectively prevent the heavy furniture from tipping over by accident. 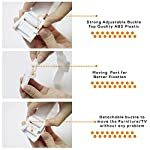 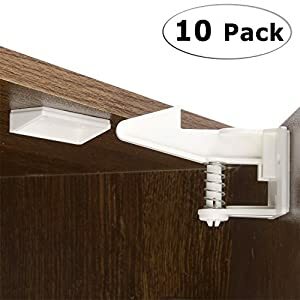 Ideal to attach to any Bunk Bed, Drawers and Cabinets, Dresser, Bookcase and Wardrobe, Wall, TVs, TV Stands, Armoires and more. 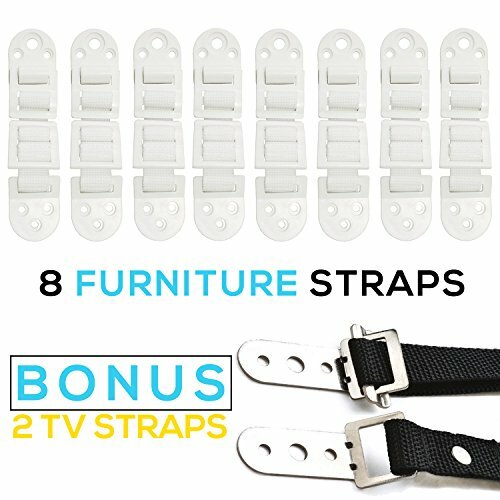 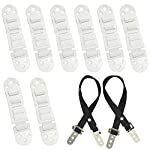 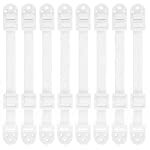 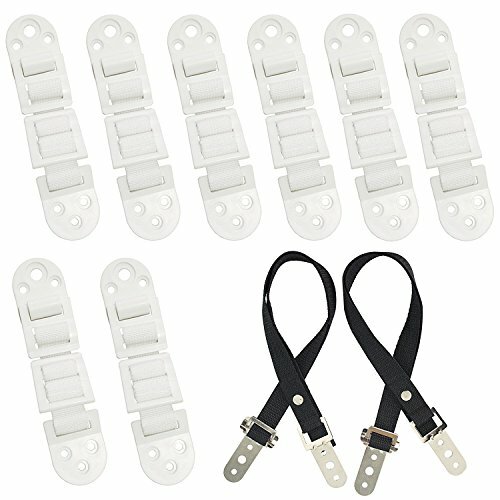 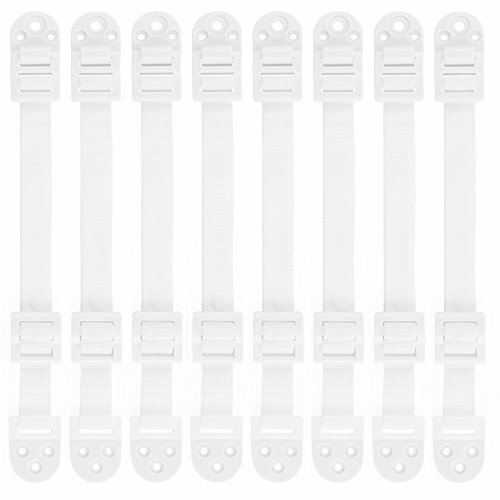 When your child decides to go exploring, these Baby Safety Straps will keep your furniture in place. 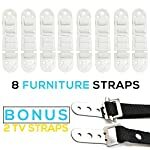 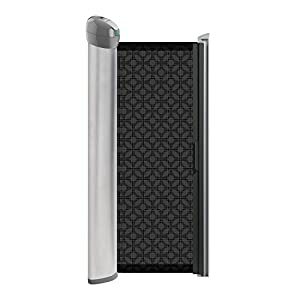 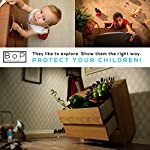 Besides, it’s much more easier to adapt the Bop Home Products Baby Safety Strap in your house because it comes in colors: black and white and they match perfectly to any furniture or wall you have. Installation of safety straps does not substitute the need for adult supervision. 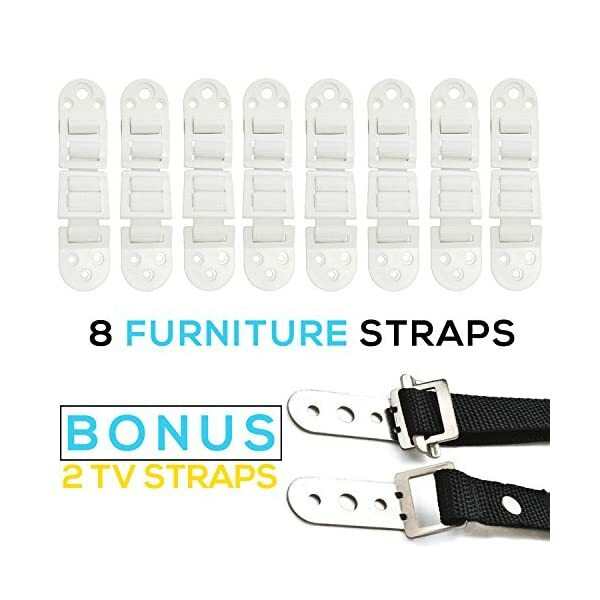 Package includes: -8 white adjustable straps -2 black adjustable TV straps -screws for wall, furniture and all VESA TV holes -detailed installation instructions Features: -up to 27 inches in length adjustable straps -quick release detachable plastic brackets to move furniture when cleaning -special ABS material 3 times stronger than most of competitors -easy to install. 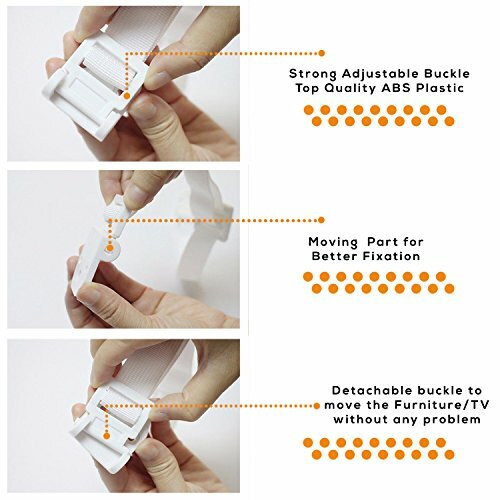 ✅ 100% MONEY-BACK GUARANTEE – If you are not happy with the product, you will receive a full refund or replacement.